Are you a full-time blogger?A couple of people ask me that question. I'm not full time and not professional either.But people are wondering how I am able to cover a lot of events and places and still constantly update my blog.Yes,I do write almost daily as if I have no day job.And it's not to say that I don't rest anymore.What's the secret?It's because I discovered a tool which allows me to write anytime,anywhere.Yes,as long as my Blackberry's battery is on and my mobile network (Globe) is within a cell site's coverage.And so far,my mobile service provider hasn't failed me pa naman. That said,whether in the bus,fx,jeepney,train,boat,yes,even on the plane (secret lang,wag kang maingay),the time I spend traveling is not wasted.Instead of simply being seated imagining what to write next,you will see (and hear) me cracking my blackberry,composing my next blog entry. How do I do it? ---email. I compose by sending an email to my other account.When I get home or get a grab of the pc,I open my 'sent folder' and copy paste on on my blogger composer.Attach a few photos and I am ready to publish. That spells the difference.Because the most difficult part of writing is how to begin.And you get the craziest ideas sometimes while on the road.And when an idea hits you,whatever you are doing,it's better if you can readily jot them down.Gone are the days of course of pen and paper.Everything is online now. What do you get from 1Megabyte? And I worry not about my charges. 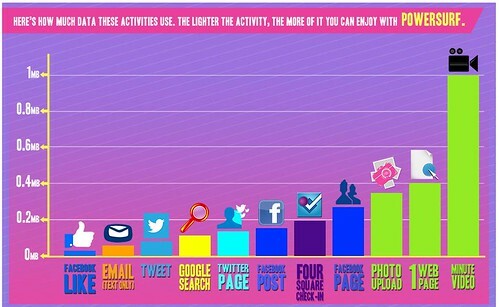 My BBMax plan covers my emails.That on top of Twitter and Facebook. I am also aware that not everybody blogs.It could still work in other ways.If you are a student and you have an essay assignment or a writing project,this could work for you.Never let a brilliant idea slip away simply because you are on the road.The important thing is,you should know your lifestyle so that you know which service best suits you. So, Which BB Plan Fits Your Style ? Celebrity Liz Uy gives a video tutorial about which BlackBerry (BB) Plan Fits your lifestyle. If you are the type to CHAT all day with friends,GLOBE BB CHAT is perfect for you. ---Exchange messages,photos,videos and files for only 99php a month. If you are on Twitter and Facebook a lot,GLOBE BB Social is best for you. ---Ym and bbm included for only 299php for 30days. 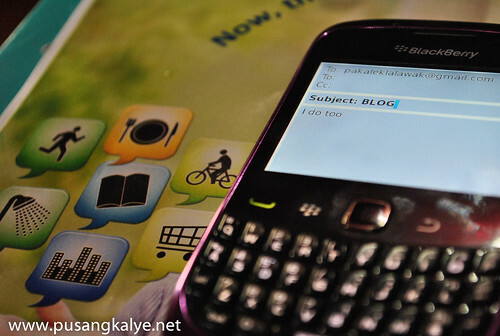 If you are always on the move and always need to check your email and messages,GLOBE BB Messaging. --Keep up with work,clients from the rest of the world wherever you are,whenever. --Unlimited access to email and messaging tools like email,bbm,YM and Gtalk for only 299php per month. But if you are like me,and Liz, who wants more,more,more ---GLOBE BB Max should suit you. --Access twitter,Fb,YM,Youtube,BBM unlimited for 599php per month. Know your lifestyle and choose the best plan that fits you. Like me, being connected via Globe made things a lot more easy and fun.